The dedicated staff at Smithsonian Affiliations connects Affiliates to resources, exhibitions and professional expertise at the Smithsonian as well as throughout the Affiliate network. Our resource pages are bulletin boards for posting job announcements, traveling exhibit opportunities, and program opportunities. In addition, you can learn about other educational initiatives with Smithsonian Affiliates. 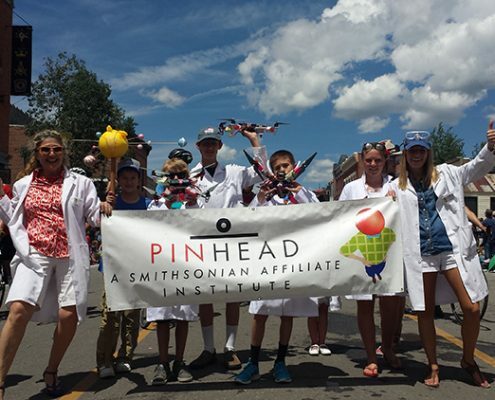 The Pinhead Institute (Telluride, Colorado) was one of many Smithsonian Affiliates to participate in Youth Capture the Colorful Cosmos, an astrophotography program in collaboration with the Smithsonian Astrophysical Observatory.